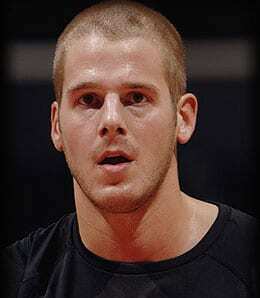 Joel Przybilla has thrived with yet another lingering injury to Greg Oden. Kendrick Perkins, Boston Celtics: With Kevin Garnett out of action, Perkins has a chance to elevate his production, though that hasn’t really happened yet. Still, he showed in December (11.3 PPG, 9.9 RPG) that he could be a fantasy force, which makes him at least worthy of flier status in deeper leagues. Greg Oden’s knee injury continues to linger, keeping Joel Przybilla in the starting lineup. His work on the boards remains exemplary, though he has logged just two double-digit scoring efforts in 2009…Owners looking for a boost in the shot blocking department needn’t look any further than Denver, where Chris Andersen has marked 25 shots “return to sender” in the last six games…We talked up Roy Hibbert in this space a couple weeks back and we’re not giving up on him yet. The rookie can’t stay out of foul trouble, averaging a disturbing 4.8 fouls in just a shade over 16 minutes a night in Indiana’s last six games. He’s a flier to be sure, but those grasping for straws can think about it…Matt Bonner was a beast from beyond the arc last month, knocking down better than two treys a night and averaging 10.8 points and 6.1 rebounds. Don’t overlook him. John Salmons, Chicago Bulls: Any concerns about a decreased role in the Windy City for Salmons should have been assuaged now that he has logged better than 30 minutes in each of the Bulls’ last three games. Outside of a 25-point effort his scoring hasn’t been what it was in Sacramento, but his production should increase as he becomes more comfortable in Chicago. He’s worth owning in all leagues. Matt Barnes, Phoenix Suns: Injuries have depleted Phoenix’s frontcourt, which has helped Barnes get back into the flow of the offense. He has also benefited from the coaching change and renewed emphasis on pushing the ball. Barnes reached double figures in four of five games before lighting up the Lakers for 26 points, 10 rebounds and seven dimes on Sunday afternoon. Don’t hesitate to pick him up in deep formats. Everyone’s favourite document forger, Yi Jianlian, returned to the starting lineup for the Nets on February 23, though he hasn’t found the range (12-for-31) just yet. He was scoring well before his injury, which makes him at least an interesting roll of the dice in most formats…Now that Brian Scalabrine has joined KG on the sideline, Glen Davis is getting the starting nod. In three starts, Big Baby is averaging 16.7 points per game – he may not be long for the fantasy world, but he’s worth a short-term roster spot…One of the players heading west in the Salmons trade, Andres Nocioni, seems to be enjoying his relative freedom in the offense. The fifth-year forward is a volume shooter who is too loose with the ball, but he can score, drop threes and even chip in on the glass…It didn’t take long for the Thunder to find a spot in the starting lineup for Thabo Sefolosha, who posted 15 points and 11 rebounds on Saturday. Those in deeper leagues should act now before less informed owners take notice…Who is James Singleton? Anyone that can’t answer that question should take a quick peek at his game logs – we may be on to something here…Dominic McGuire continues to get a ton of burn in DC and averaged seasonal bests in both points (6.2) and rebounds (7.0) during February. That’s not great production, but it might raise some eyebrows in deep leagues. Ronnie Brewer, Utah Jazz: Utah’s swingman is morphing into a legitimate fantasy force, scoring 16 or more points in all but one of the team’s 11 February tilts. His range isn’t great, but he shoots an excellent overall percentage for a guard, converting 55.7 per cent of his shots this past month. There’s no reason for him to be available in any league at this juncture. Anthony Parker, Toronto Raptors: The 33-year-old struggled for much of February but ended the month on a high note, dropping 62 points over Toronto’s final three games. He has been very hit (13.6 PPG, 4.9 RPG, 4.6 APG in January) or miss (6.9 PPG, 2.9 RPG, 2.4 APG in December) this season so don’t mortgage your future to acquire him, but when he’s on he deserves a roster spot. Sebastian Telfair averaged 11.9 points per game in February though he continues to misfire with great regularity from the field. Be prepared to take a hit in field goal percentage for his modest contributions in points and assists…Even with Mickael Pietrus returning to action on Friday, Courtney Lee continues to start for Orlando, and why not? Lee has averaged 14.4 points a game in his past five starts and launched a dozen three-pointers (hitting four) his last time out. At the very least he’s worth watch list status in most formats…In two games with the Celtics, Stephon Marbury has scored eight points, all of them coming in his Boston debut. Keep a watchful eye on Starbury.